Help your organisation thrive with insightful performance reporting on your Medicare revenue. Medicare revenue management made simple. Act on clear, data-driven revenue insights and empower your team to drive a proactive revenue management strategy. 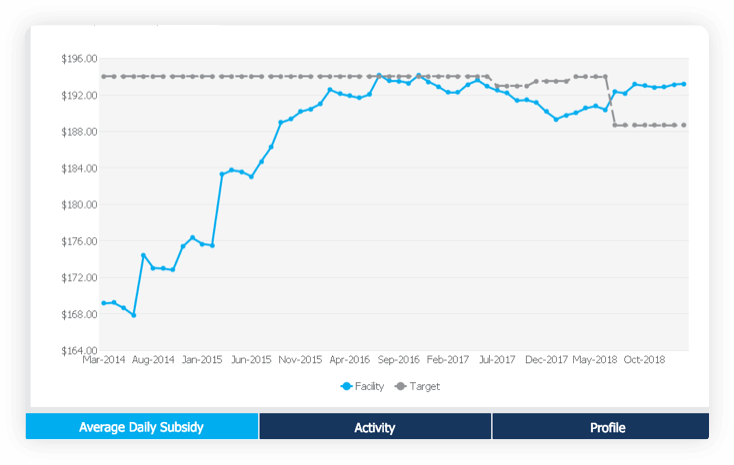 Your Medicare data updated daily providing an accurate and reliable snapshot of your organisation's performance. Forget spending hours buried in spreadsheets. 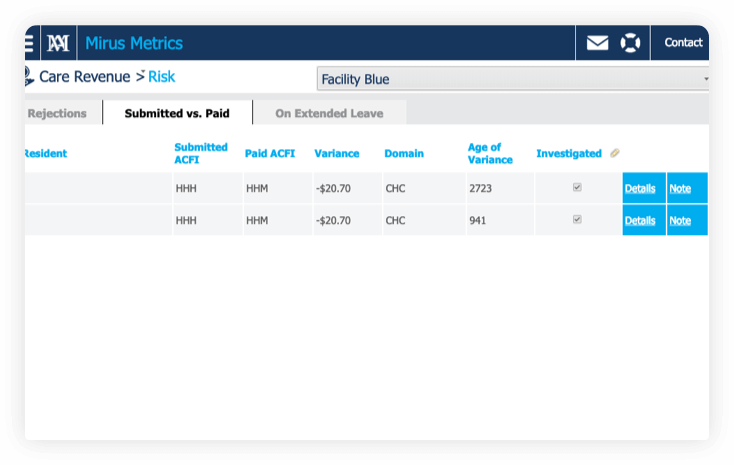 Standardised reports and insightful dashboards; Metrics provides intelligence on-demand. 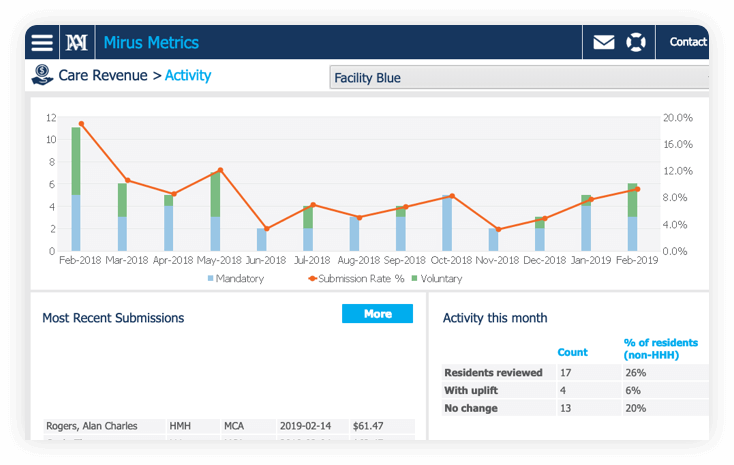 Dashboards designed to help you easily monitor historical and current performance across a wide range of metrics. A clearer view over your organisation's performance today to understand where improvements could be made. 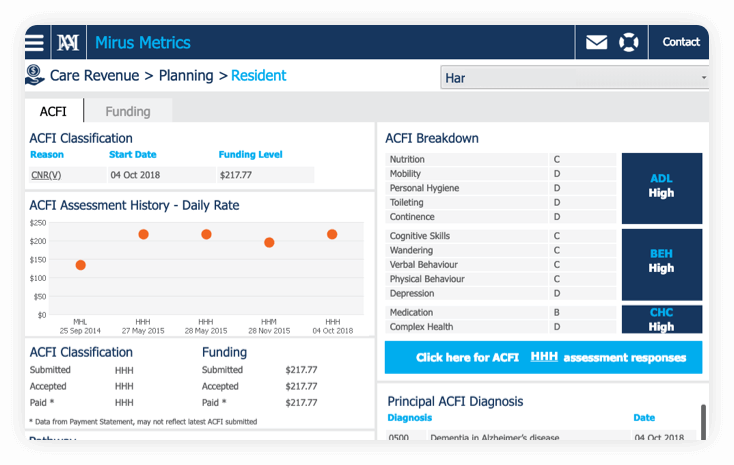 Find and monitor ACFI, identify areas in need of attention and track progress to budgets. Stay on top of every ACFI assessment, submission and rejection. See what’s coming up across every facility with centralised task lists so your team never miss a beat. Tailored competitor benchmarking reports evaluating your performance against our industry database of over 57,000 beds. 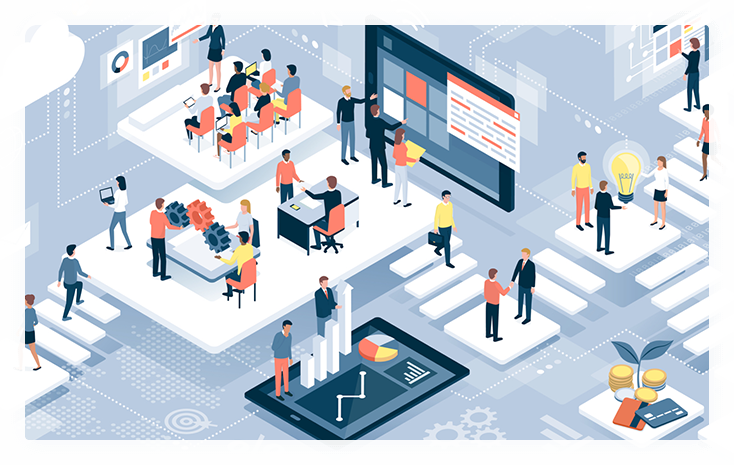 Your team doesn’t stay in one place all day so neither does Mirus Metrics. 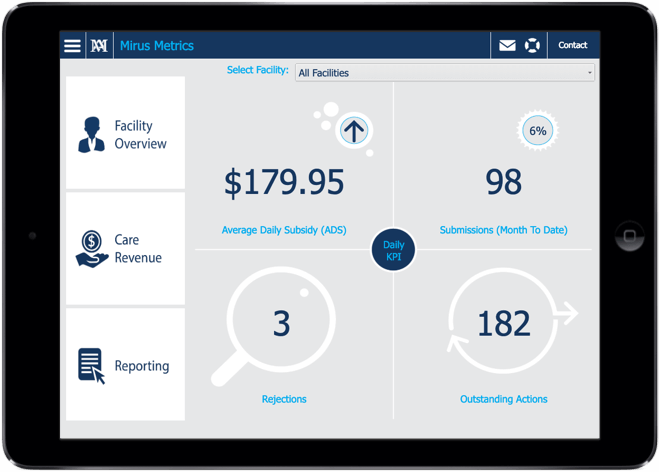 Seamlessly switch between mobile, tablet or PC so your team can monitor and update assessment details on-the-go. We understand ACFI management decisions aren’t always black and white. The Mirus ACFI support team is just a phone call away to support your team.